Michael Trebilcock is Professor of Law and Chair in Law and Economics at the Faculty of Law. He specializes in law and economics, international trade, and contract and commercial law. He has served as National Vice-President of the Consumers’ Association of Canada, Chair of the Consumer Research Council and Research Director of the Professional Organizations Committee for the Government of Ontario. 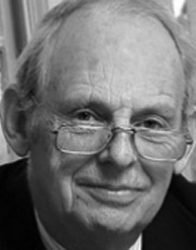 Professor Trebilcock was honoured with a University of Toronto Teaching Award in 1986, and was awarded the Owen Prize in 1989 by the Foundation for Legal Research for his book, The Common Law of Restraint of Trade, which was chosen as the best law book in English published in Canada in the past two years. In 1999, Professor Trebilcock received an Honorary Doctorate in Laws from McGill University, and was awarded the Canada Council Molson Prize in the Humanities and Social Sciences. In the same year he was elected an Honorary Foreign Fellow of the American Academy of Arts and Sciences. He received his LL.B. from the University of New Zealand, and his LL.M. from the University of Adelaide.